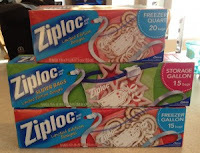 Ziploc Bags only $0.16 per Box! Wow! If your Walmart still has a holiday clearance section, you could score an awesome deal on Ziploc holiday bags with this new coupon! Let us know if you find these at your store!